Pro-tek keyless gas caps are made from 6061-T6 billet aluminum. 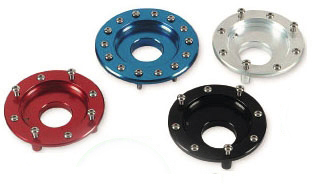 Rubber gasket and polished stainless steel bolts are supplied. Available in 5 colors (Red, Blue, Gold, Silver and Black) and chrome for an additional charge. 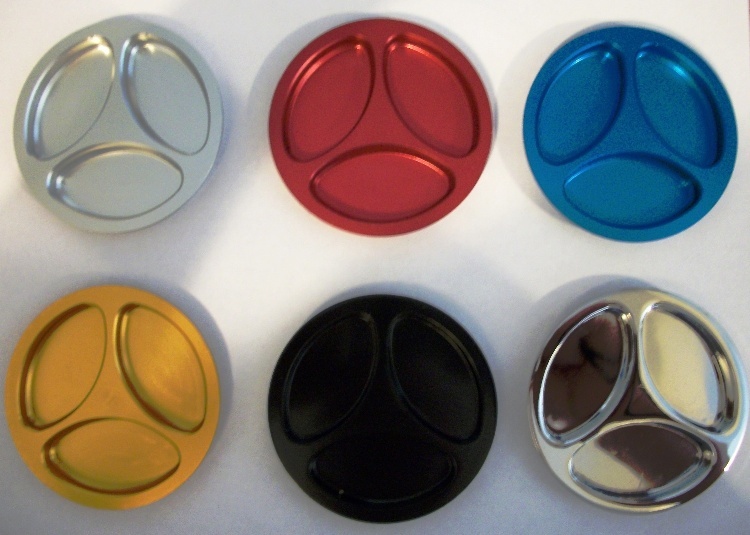 Keyless gas cap tops are made from same 6061 T6 billet aluminum and available in same colors and chrome. Cap top comes with o-ring gasket. 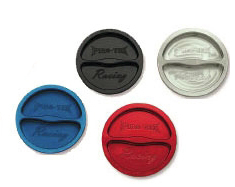 All gas cap tops are interchangeable with gas cap bases so you can mix and match for custom color combinations.